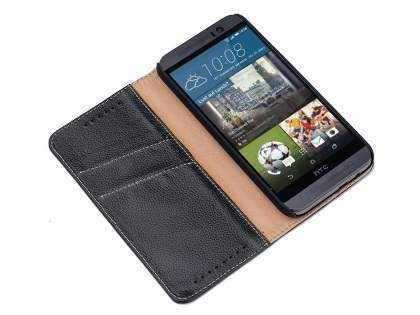 Make your HTC One M9 more fashionable and functional with this slim-fit prestige leather wallet case. 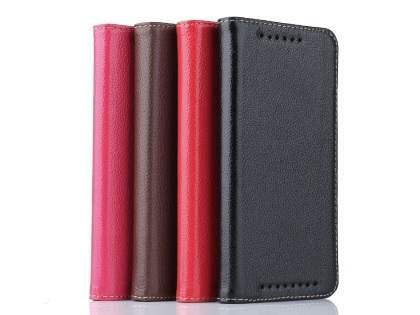 This case features card pockets for your credit cards or ID located on the inside of the front flap. The outside surface has been specially designed to have a smooth, comfortable grip. 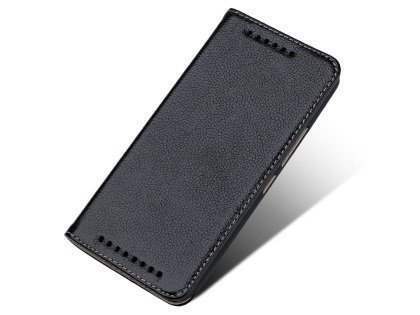 Holding this product in your hands is a pleasure due to the smooth texture of the leather. 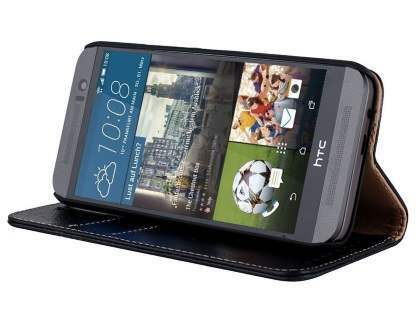 With a molded frame that tightly encapsulates the HTC One M9, this wallet case has a corrected-grain leather lining on both the front and back to protect your HTC One M9 on all sides. 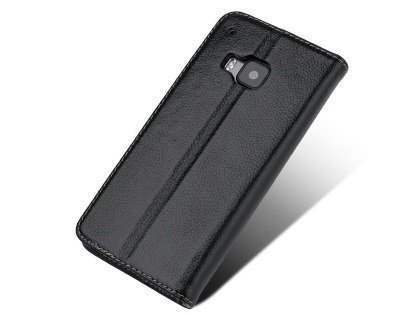 The case has a slim, lightweight profile to reduce bulk and ensure that it's a truly convenient and stylish accessory. 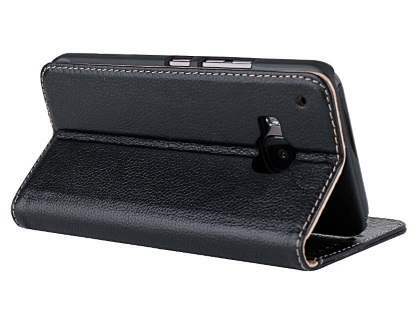 Rounded out with full access to all controls, sockets and the camera, this wallet case is for those who want fantastic function from their case without having to compromise on style.